A great win, a shocking crash, and off theback of the New Zealand event Scott McLaughlin was in the workshop working on the carwith the team. It brings a new meaning to 'behind the wheel' – part of the Fujitsu GRM driver’sarrangement is to work as a fabricator to finish the final year of hisapprenticeship. McLaughlin said he always wanted to be inthe motor racing industry – if not driving the cars, building them. In fact, his foot in the door came bycompleting work experience with Stone Brothers Racing when he lived on the GoldCoast. McLaughlin worked there for a few years and has now transferred his apprenticeship to complete with GRM. “I’m in my last year, so hopefully I’llfinish by the year’s end,” he said. 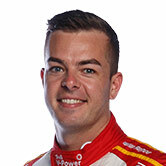 McLaughlin said it was important to him tohave a back-up career and something to focus on other than racing. “A lot of drivers out there put their whole heart andsoul into getting a drive – and good on them – but you can’t forget thatyou need a life behind the racing," McLaughlin said. "In case it doesn’t work out I needed anincome or trade behind me. McLaughlin said he felt more like a part ofthe team, rather than the stereotypical idea a driver just stepping into the car on race day. Plus, he understands the finer details ofthe car. “I think a lot of the drivers knowfundamental stuff, but I learn how it all pieces together, down to thethickness of a tube – you know it’s fragile. At Pukekohe McLaughlin had a look aroundthe car before going back to the pits so he could give the team feedback on thedamage. 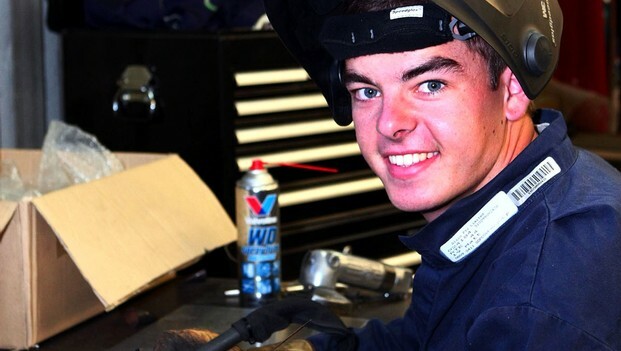 McLaughlin encourages any aspiring driversto work towards a qualification to give themselves a greater shot at a jobwithin the motor racing industry. “I definitely encourage it, I think it’s agreat thing,” he said. “You get to see a lot of Australia and the world, if you’relucky enough to go with a team.